The first GBI destroyed the target missile's reentry vehicle and the second interceptor zeroed in on debris and blew up the largest piece in a precision kill, the MDA announced. 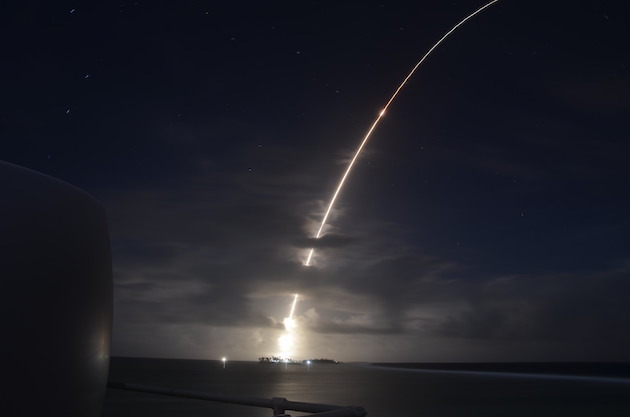 "The system worked exactly as it was designed to do, and the results of this test provide evidence of the practicable use of the salvo doctrine within missile defense," Greaves said. 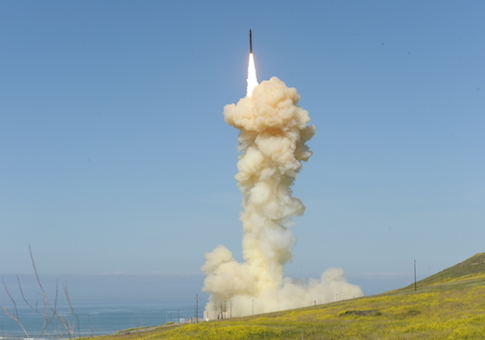 "The Ground-based Midcourse Defense system is vitally important to the defense of our homeland, and this test demonstrates that we have a capable, credible deterrent against a very real threat." The two GBI's hit the targets with non-explosive space kill vehicles. The missile defense system is under the command of the Colorado-based Northern Command. Northcom conducted the test together with the Joint Functional Component Command for Integrated Missile Defense, and elements of the Air Force Space Command's 30th, 50th, and 460th Space Wings. Rep. Mac Thornberry, (R., Texas) and ranking member of the House Armed Services Committee hailed Monday's test as a significant advancement. "Every test is crucial. We learn from all of them, even when they fail," Thornberry said in a statement. "However, yesterday's GMD test is the most complex ever attempted and its success is important. Missile defense programs are a vital part of our future security, one that has been politicized for too long." This entry was posted in National Security and tagged Missile Defense. Bookmark the permalink.